Meet The…Education & Outreach Administrator! 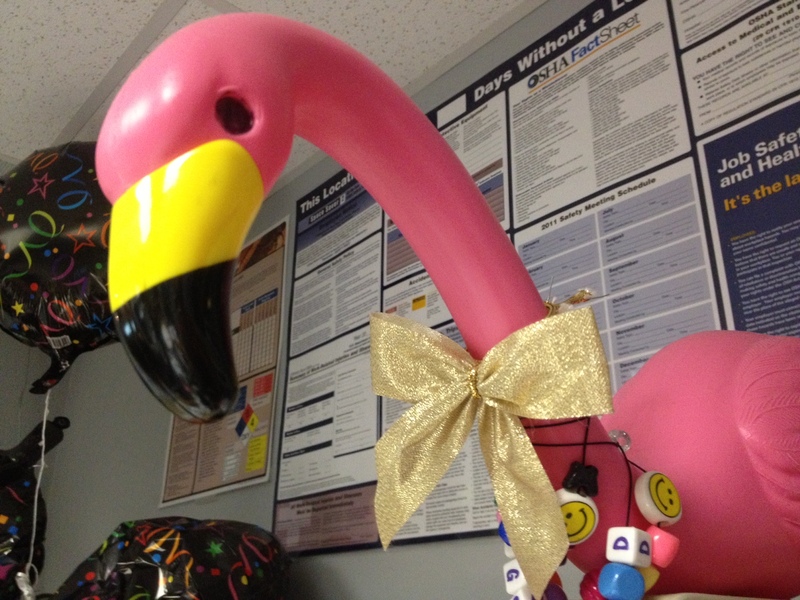 Floyd the Flamingo, local celebrity and COO (Chief Office Ornithologist) of WCT recently sat down with WCT’s Education & Outreach Administrator, Doug Jarecki. Floyd: Hello everyone. I’m here with Doug Jarecki, the Education and Outreach Administrator at the Waukesha Civic Theatre. How are you today, Doug? Doug: Are you kidding me?!? You’re a talking flamingo! This is amazing. I have so many questions for you. Floyd: And I have questions for you, so let’s just alternate. First you ask a question, then I ask a question. Doug: Can we do that? Floyd: Yes, and since that was your first question, I guess it’s my turn. What is a typical day for the WCT Education and Outreach Administrator? Doug: Well, the days really aren’t that typical, and I love that. My job covers a lot of different ground. One day I might be teaching an acting class with the ACAP PlayMakers, then conducting a meeting with the Civic Senior Players, then teaching some afterschool classes for our Academy at Civic Theatre. The next day I might be speaking to students at a local school’s fine arts day, writing scripts for a class, then driving up to Hartford to conduct one of our outreach programs. Every day is full of new challenges. Floyd: In other words, you find everything challenging. Doug: Yes….wait, what do you mean by that? Floyd: Nothing. But since you just asked another question, I guess it’s my turn again. Doug: Oh come on, that’s totally unfair! I deserve another chance. Floyd: Alright, I’ll give you another chance. Floyd: And you just wasted your question again. Doug: Ugghhh, come on! One more chance! Floyd: Ok Doug, one more chance. But make it a good question. Doug: Oh it is. It’s a great question. I’ve waited my whole life to ask it. Are you ready? Oops….wait, I didn’t mean to….NOOOOOOO!!!!! Floyd: Thank you, Doug, that really was a great question. My turn: What do you do when you’re not at WCT? Doug: Just recently I wrote a children’s show that’s running at a local theatre. And I still do a lot of acting around Milwaukee, both on stage and in commercials. In fact, I am currently in a series of Fleet Farm commercials. Maybe you’ve seen them. Floyd: You play the dumb guy in those commercials, right? Doug: Yes, I do. So you’ve seen them? Floyd: No, you just give off a vibe. To wrap things up, I would like you to tell us one last thing about yourself in ten words or less. Floyd: And that will do it for us here. I want to thank all of you for taking the time to learn more about Doug Jarecki, WCT’s Education and Outreach Administrator. See you at the theatre! Comments Off on Meet The…Education & Outreach Administrator! The existence of Hot Damn! is all Katie’s fault. If you don’t know her, Katie Danner is the ultra-talented Box Office Supervisor and Marketing Director at Waukesha Civic Theater (WCT). She’s the mother to Byron; wife to Jonathan. Most importantly (at least as far as this story goes), Katie was the author of an e-mail which went out in May of 2012, asking any local musicians if they wanted to help publicize WCT’s upcoming season by playing at the Waukesha Farmer’s Market. That tiny bit of encouragement was all I needed. I am primarily a “pit” musician, playing for musical theater productions throughout Milwaukee. I’ve been meaning for a while to get back into a band, but my pit work keeps me pretty darn busy (and happy), so the “band” thing was pretty much always on hold. When I got the e-mail, I had just finished playing in a production of Aida. My friends Jay Kummer, Maddie Dietrich, and Brian Carter were in the Aida pit as well, and I had said some random thing about how much fun it would be to get together and jam. Which wouldn’t have happened, except that Katie’s e-mail gave us a reason to do it. So I told Katie sure, I could pull something together. “In a couple of weeks?” Katie asked sweetly. Um… sure, okay, why not? So, with barely time for a rehearsal, and with about one hour of music, Jay, Maddie and I made our debut. Katie liked us well enough, or was desperate enough, that she asked us to come back again, and we did, this time with Brian joining us on percussion. We quickly settled on a few things – music pretty much from the jazz standards, but with some songs from western swing, gypsy jazz, and blues. Instruments would be guitar and uke (Jay); mandolin, bass, or fiddle (Maddie); mandolin, guitar, or bass (me); a whole bunch of percussion toys (Brian). Vocals would be – very few! The name came around pretty quickly, too. There are several things about “Hot Damn” that I liked. First, even though it’s not exactly a common saying anymore, I used it a lot. Second, the “Hot” makes a bit of a link with the “Hot Club of France”, Django Reinhardt, and the whole gypsy jazz world. Third, “Hot Damn” was a popular American saying in the 20’s and 30’s, which is when much of the music we play was written. It just seemed like the obvious fit! The band has gone through a few personnel changes, as Maddie finished her Master’s degree and planned for a move out of town. 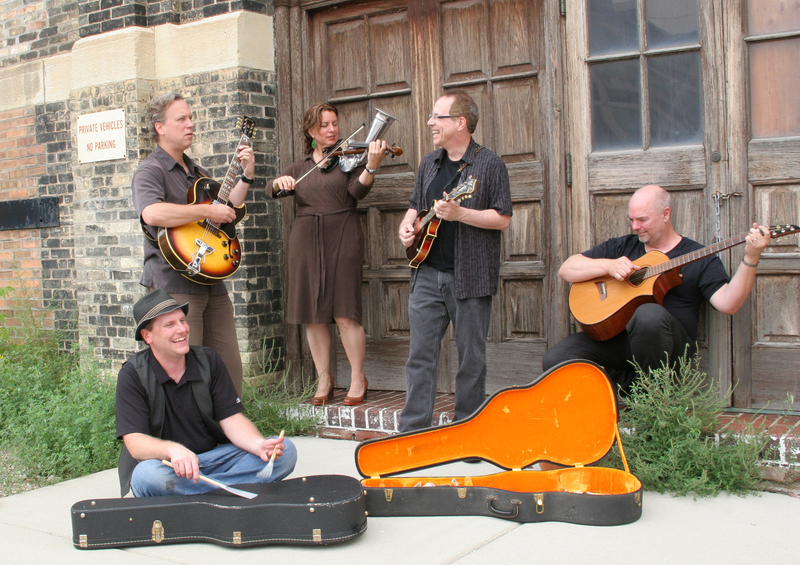 Early this summer we added Linda and Jeff Binder, who are cohorts of mine from the Milwaukee Mandolin Orchestra, and just recently we added Tim Dondlinger on bass. I like to think of us as playing melodic and recognizable jazz standards. We have an easy-going style, with a lot of variety in the instrumentation and sound, and we have a lot of fun playing gorgeous songs. We even throw in a few vocals now. We’ve played several venues, but we keep coming back to WCT in one form or another – at the Farmer’s Market several Saturdays during the summer, or at Friday Night Live three times this past summer. In all cases, we’re playing in front of either WCT’s front door or back door – and usually Katie is there to say hi and give us a big hug. So, come on out to hear the band sometime, or check out our website . If you like our music, please tell your friends and help spread the word about us. If you don’t, just blame Katie.